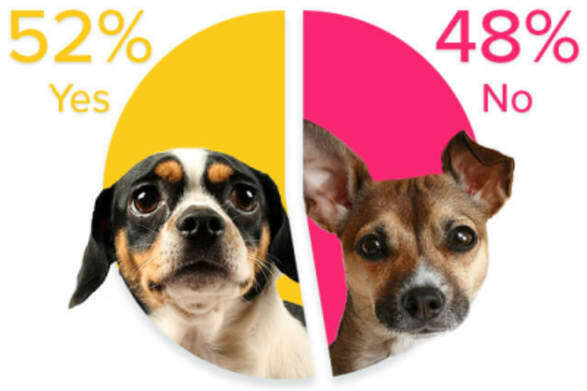 Sixty-eight percent of pet owners think there should be a limit on who can buy fireworks, according to a survey of 263 Bought By Many members and customers. Was your pet scared on Bonfire Night? Sixty-seven percent of surveyed pet owners also think there should be a limit to how late firework displays can go on for, possibly suggesting that current firework display regulations in the UK are not followed or that earlier cut offs are needed to keep pets calm during firework season. 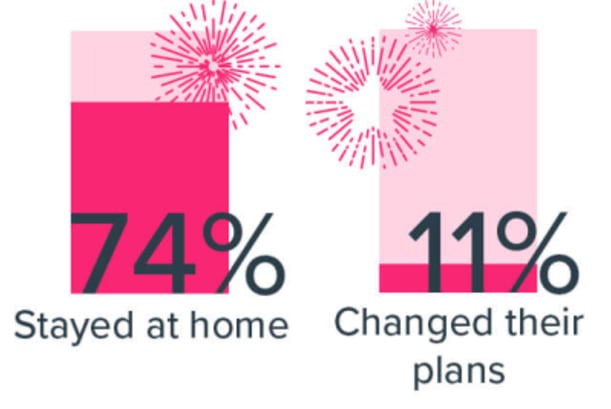 And even though a surprising 48% of pet owners reported their pets weren’t afraid, these owners made up a significant proportion of the 74% who told us they stayed at home to be with their pets during Bonfire Night. This suggests that the owners' presence had a soothing effect and possibly that, scared or not, owners are nervous about leaving pets alone during firework displays. Many owners who told us their pets were scared and even owners who said their pets were not, think firework displays should be restricted in some way. The law in the UK restricts firework displays to end by 11pm on normal days apart from on Bonfire Night when displays are allowed to continue until midnight and on New Year’s Eve when the cut off is 1am. Many pet owners have also suggested the displays should use ‘silent’ fireworks. Silent fireworks are quieter than normal fireworks and can even display more intense colours. One drawback however is that they are not suitable for large displays because they produce smaller, more subdued fireworks. In addition, contrary to what the name suggests, they are not completely silent. The government of the Italian town Collecchio introduced a legislation in 2015 banning louder fireworks in order to reduce the stress displays cause pets and wildlife. It seems that silent fireworks are gaining traction in the UK, too. Members of the public in East Lothian proposed using silent fireworks for this year's firework displays and the council has promised to look into it. Whitley Bay, North Tyneside had silent firework displays in 2018 after a dog tragically drowned last year trying to escape from the fireworks. Some anxiety responses associated with the loud bangs produced by fireworks include pacing and exhibiting destructive behaviours. For the respondents in our survey, the most commons signs exhibited by scared pets here hiding, barking, trying to run away and toileting indoors. Luckily, pet owners are knowledgeable when it comes to ways to sooth their stressed pets. Fifty-eight percent of our respondents put on the TV or the radio to distract their pets from the bangs, 35% made a cozy den for them to snuggle and 10% resorted to pheromone diffusers. Many pet owners did not pay attention to the noise as to not alert their pets that something unusual was happening. Pets are tuned into their owners’ reactions and are likely to reflect any fear or discomfort their owners might feel. Check out our article on how to keep pets calm during fireworks displays for more tips. However, some of the 48% of pet owners whose pets weren’t afraid told us they even enjoyed evening walks with their pets under the fireworks lit sky. Firework season is not over yet, so it’s great news that many pets can stay calm throughout and that those who’ll struggle are in good hands. How did you and your pet handle fireworks night? If you’d like to share your insights with us, you can take part in the survey here.